Lots of ink has been spilled about the new CAP (Common Alert Protocol) implementation and what it all means. Since the FCC started the six month CAP clock ticking on September 30th of last year, they have extended the deadline by six months to September 30, 2011. The idea of upgrading EAS is a good one. 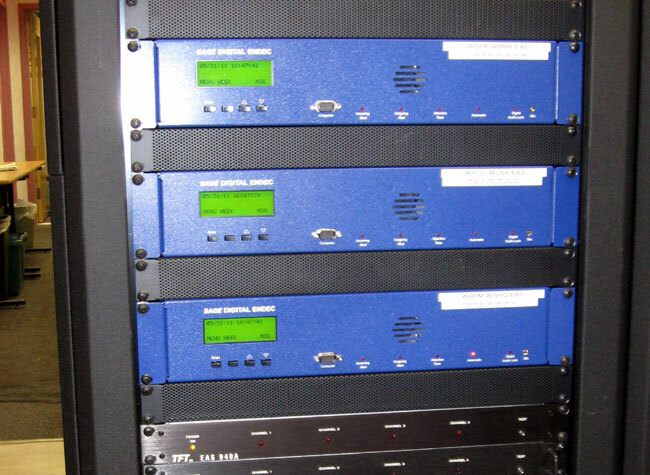 When EAS replaced EBS in 1997 it was supposed to do away with the over the air relay system also known as the daisy chain. This was left over from the 1960’s CONELRAD system implemented by Kennedy. That replacement never occurred and stations today are still monitoring other broadcasting stations for their EAS alerts. The daisy chain was and still is the source of all EBS and EAS failures. Participation at the national level is mandatory for most broadcasters. You may petition the FCC to become a “Non Participating National” station, but you must still receive and broadcast the EAN code, and then leave the air. These requirements are always evolving, refer to the FCC rules, in particular CFR 47 Part 11 for details. Often times, it is the local emergencies that are greatest and most immediate threats to human life; the tornado, the tsunami, etc. Those are the most pressing threats, not the national level alerts, which were implemented in the 1960’s to warn of a major attack from a foreign country, something not very likely these days. Further, the internet has proved to be less than reliable when trouble occurs. During the terrorist attacks on 9/11/2001, dial tone, cellphone and internet service for much of lower Manhattan were disrupted because the TELCO facilities were in the buildings that were destroyed. Most internet services rely on wired or fiber optic services provided by TELCO or cable company, which can be effected by power outages, damaged infrastructure and so on, which would likely occur in a major emergency. It does not seem to be the most robust method for distribution of emergency messages.